A bird flies low over mud flats as dark clouds move across the lowering sun in late evening. 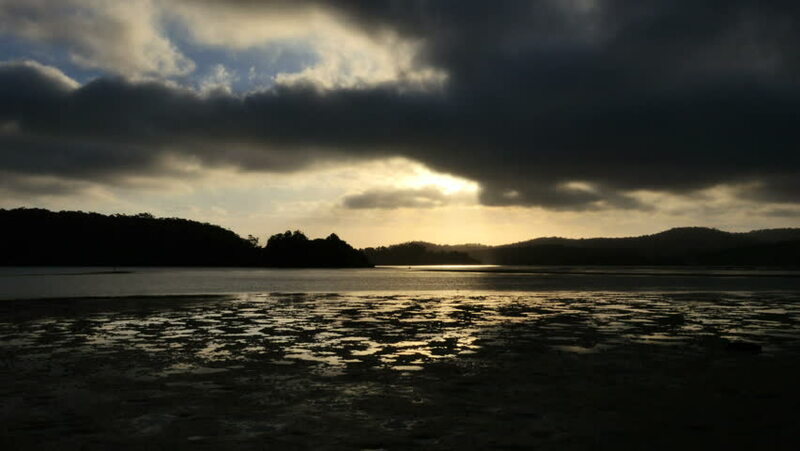 hd00:14Sunlight is reflected in puddles on a mud flat at low tide in a late evening view. 4k00:15LECCO, ITALY - CIRCA OCTOBER 2015: time lapse: the calm waters of Lake Oggiono at nightfall. Lake Oggiono is one of the three characteristic small lakes near the town of Lecco. hd00:12Beautiful river in the evening. 4k00:12A serene autumn sunset video from Akyaka shores . The sun is approaching the horizon behind the clouds, at the mouth of Gulf of Gokova (Aegean Sea).